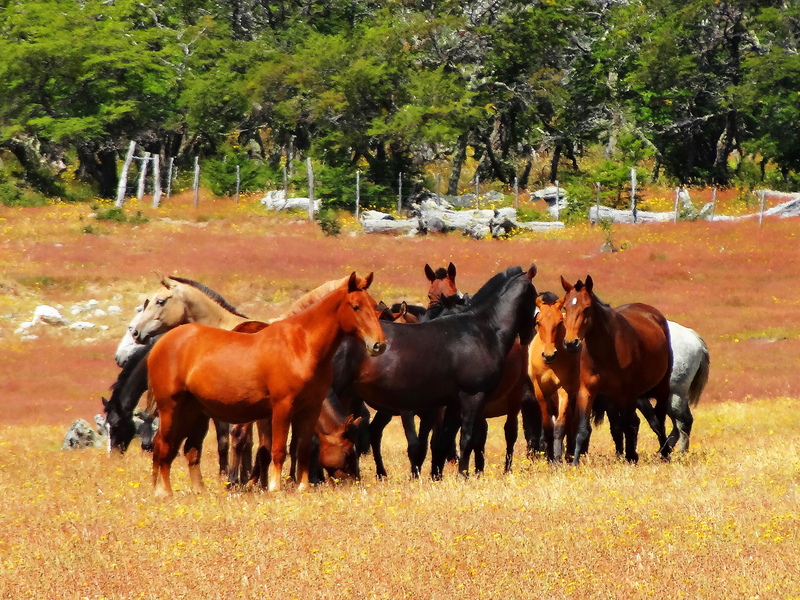 The free ranging wild horses of Patagonia are called criollos. 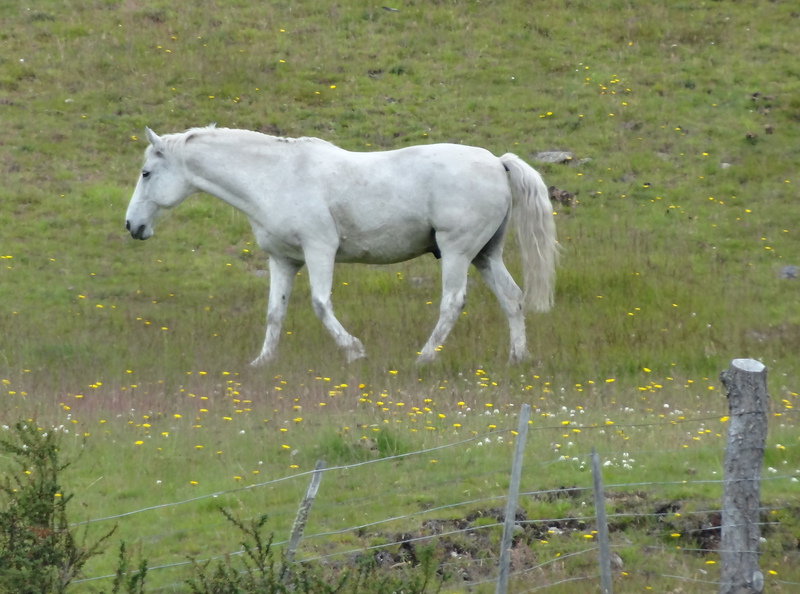 They were brought to Argentina in 1535 by Spanish settlers and were bred from Andalusians. 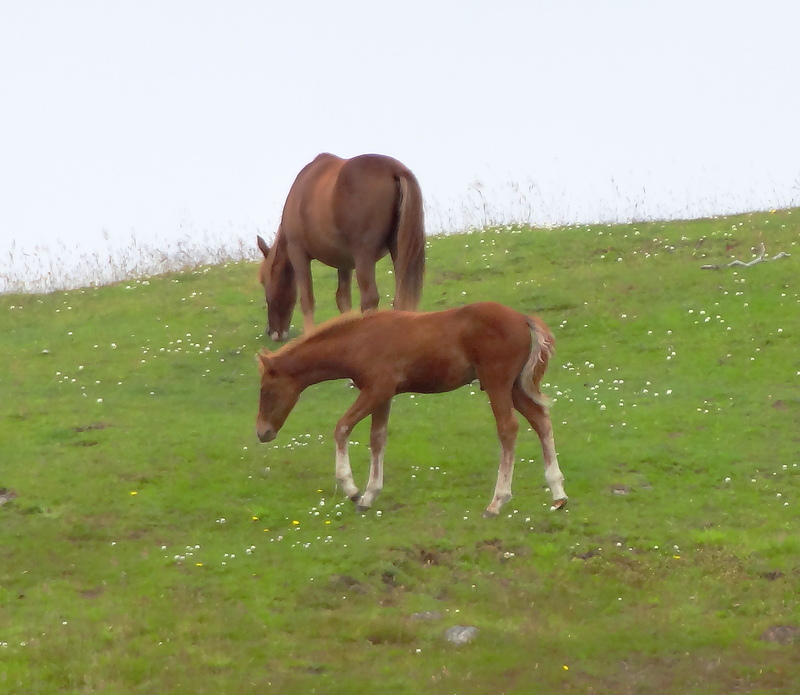 Hundreds now roam wild on the Patagonian Steppe and are considered native to Argentina. 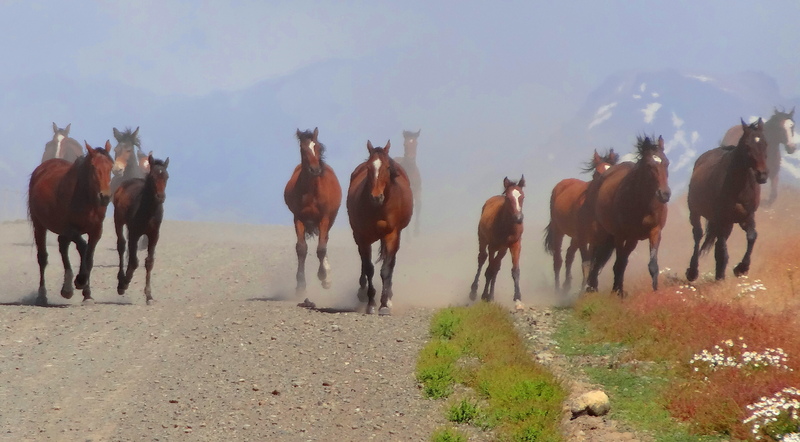 My husband and I were out exploring one day deep into the steppe on a dirt road when we faced a herd of oncoming traffic moving at great speed. We stopped the car and I got out as the criollos streamed around us and I got these shots. It was a thrilling sight! 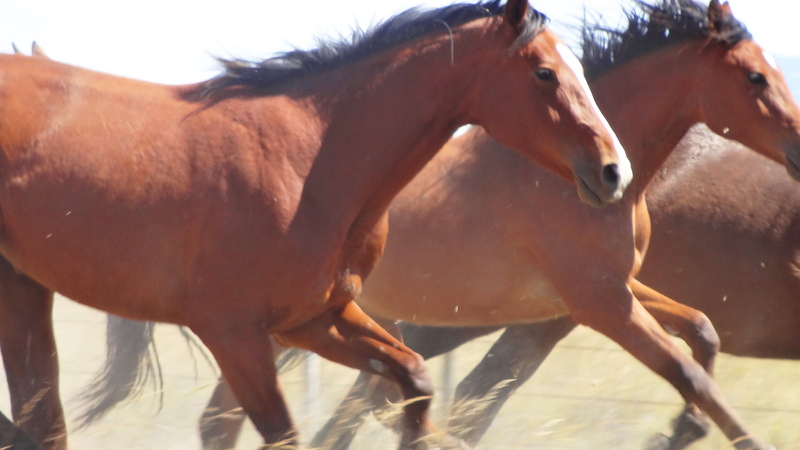 The criollos have the best long distance endurance of any breed next to the Arabians. 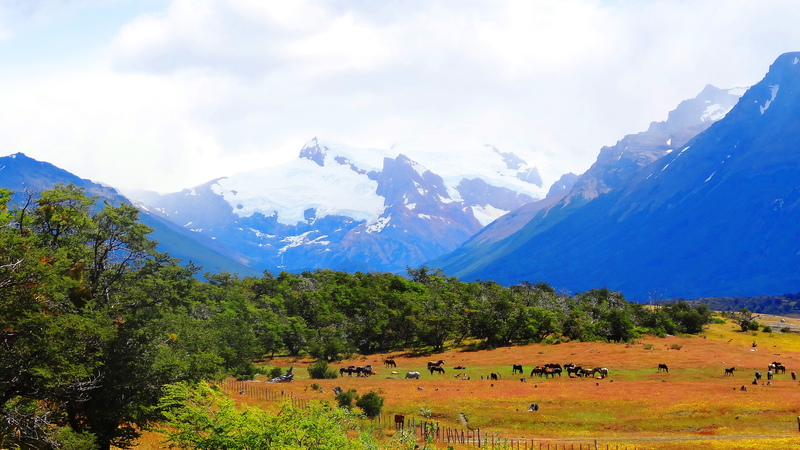 They are hardy and able to live in harsh conditions and withstand the severe Patagonian winters. By nature they are said to be tractable, intelligent and sensible.